One of my favorite passed items for an event is red or white wine. 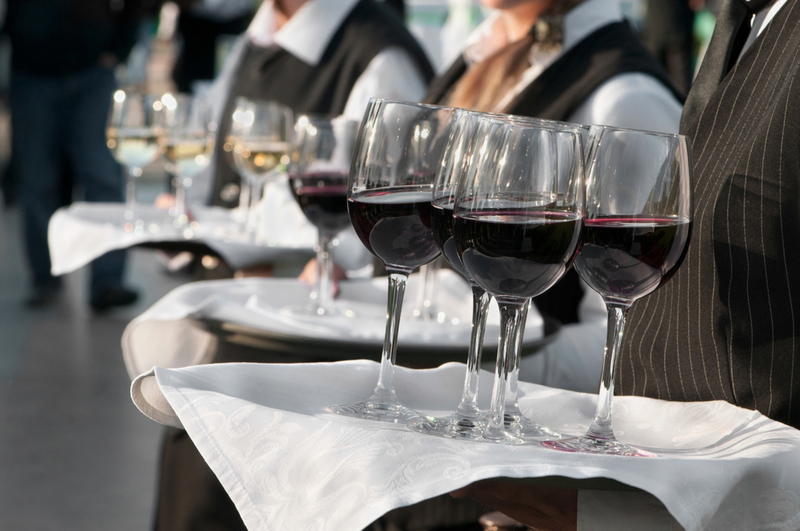 Servers are at attention when the guests arrive and the glasses are pre-poured with red or white wine. This helps reduce the lines at your bars as guests enter the reception and makes a striking impact.